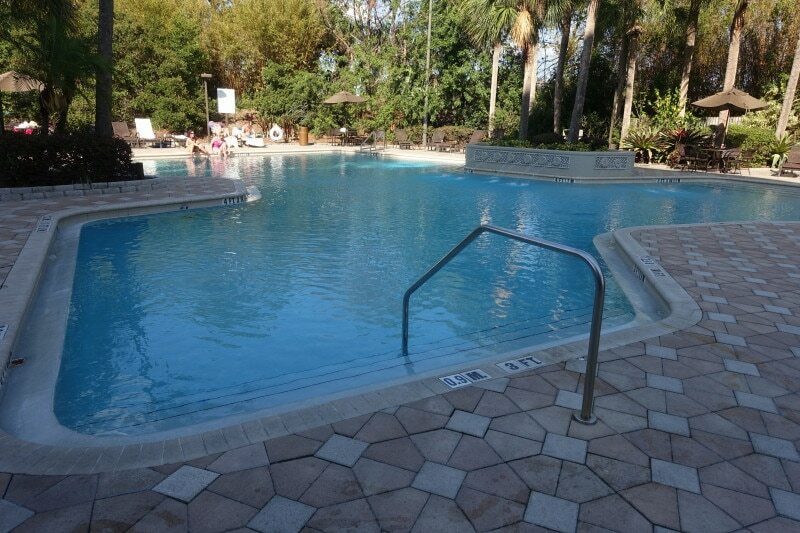 The pool complex at the Doubletree Suites by Hilton Orlando in the Disney Springs Resort Area provides most of what guests might be looking for, but in an uninteresting fashion, and thus falls into the lower rank among the offerings of the seven Disney Springs Resort Area hotels. The offerings are behind the main building, screened from the nearby busy road (535) by a group of trees. You’ll find this small main pool. Another view of the main pool. 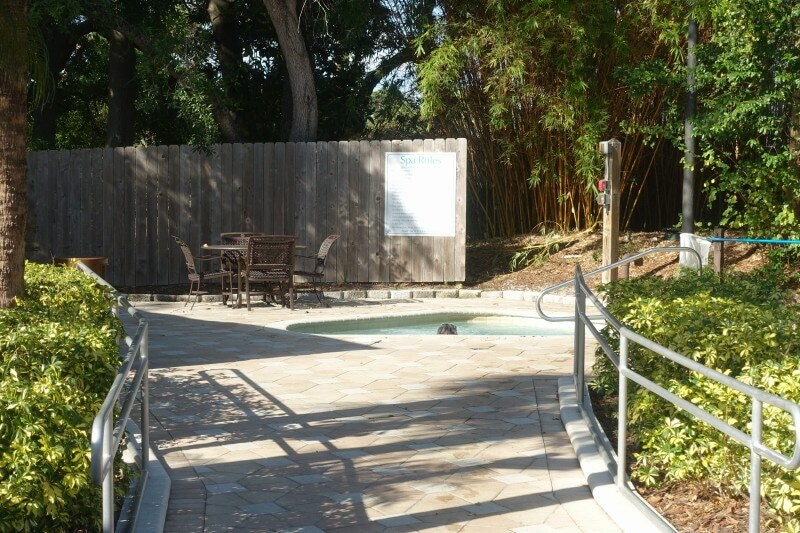 …and on another side is a kids wading pool with some water jets providing play opportunities. 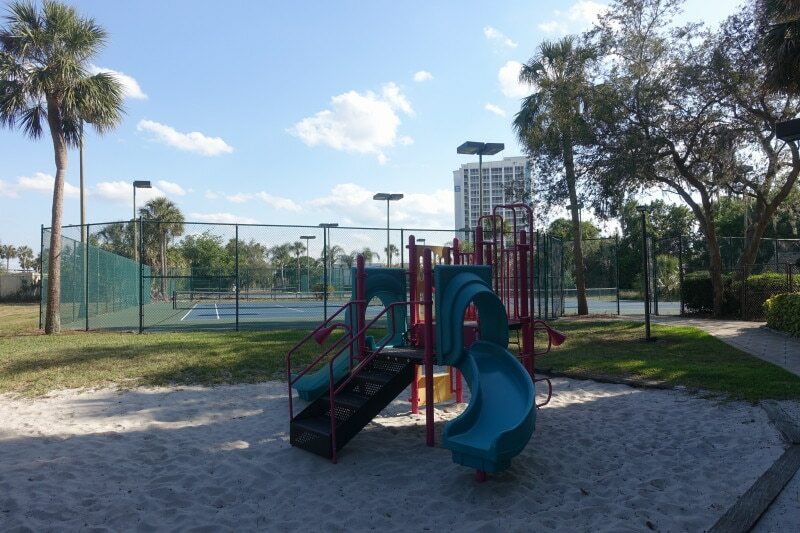 I did not see any other play options–no games, no fun water play items available for rent. 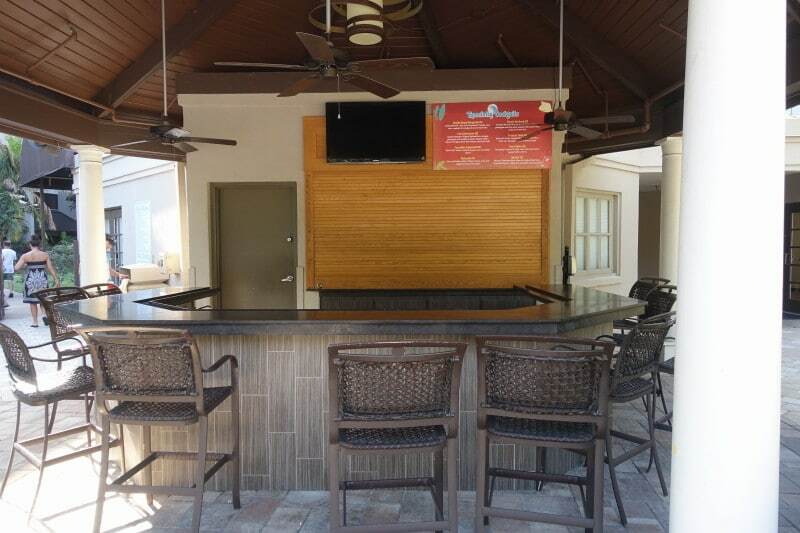 A pool bar is present, was not open when I stayed here. There’s another bar not far away inside the hotel. 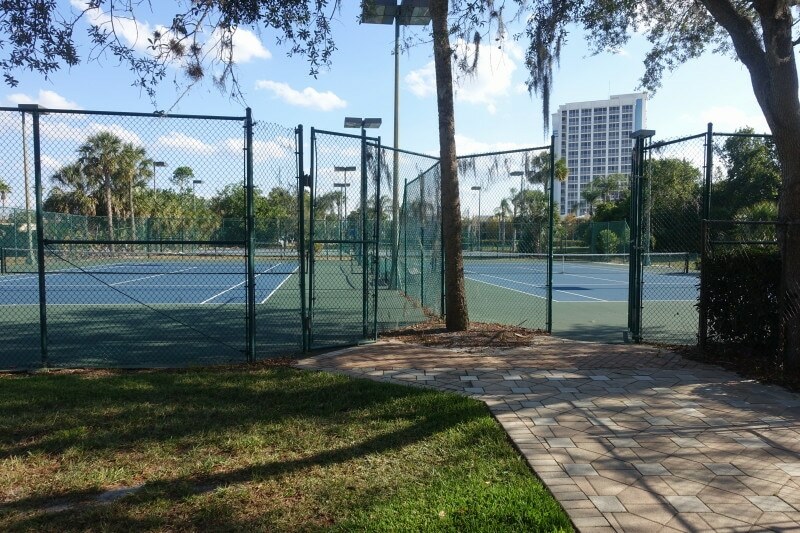 …and behind it, between the pool area and the parking lot for the next-door B Resort there’s also a set of four tennis courts–a rare amenity among the Disney Springs Resort Area hotels, especially the smaller ones. 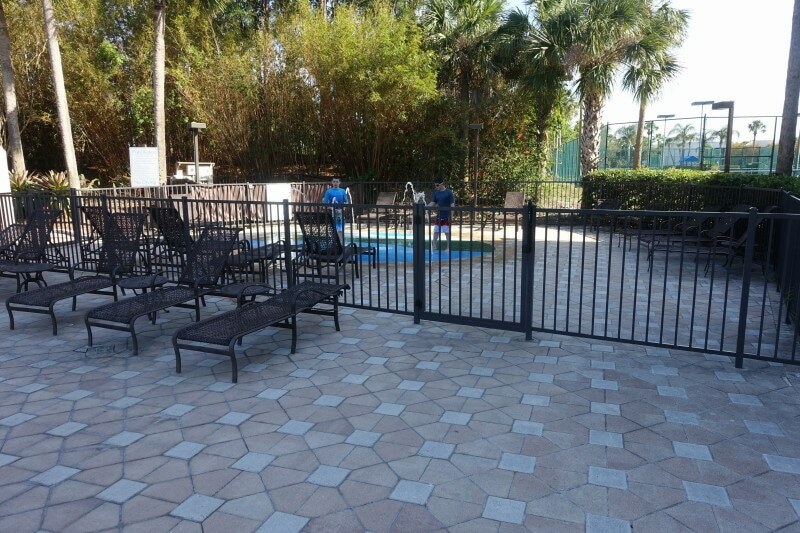 Overall this pool complex is entirely adequate, with all the basics. 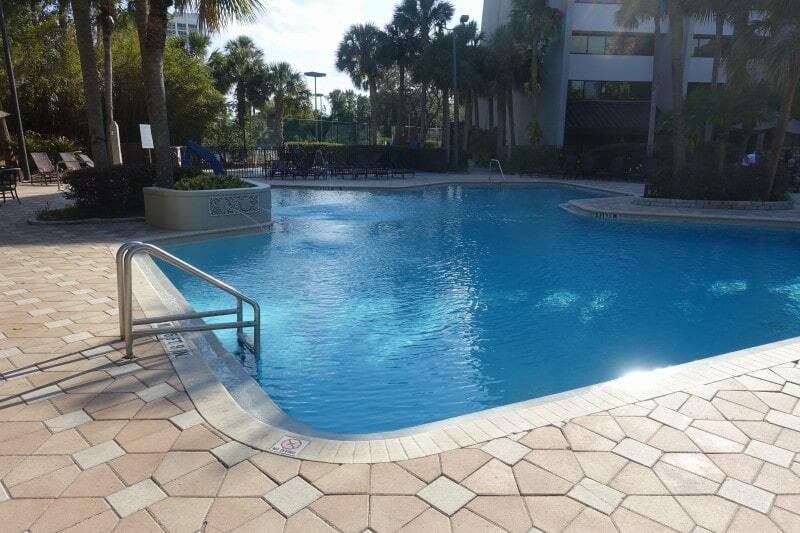 But it does not compare at all well to the offerings at the Wyndham, Hilton, or Hilton Buena Vista Palace.